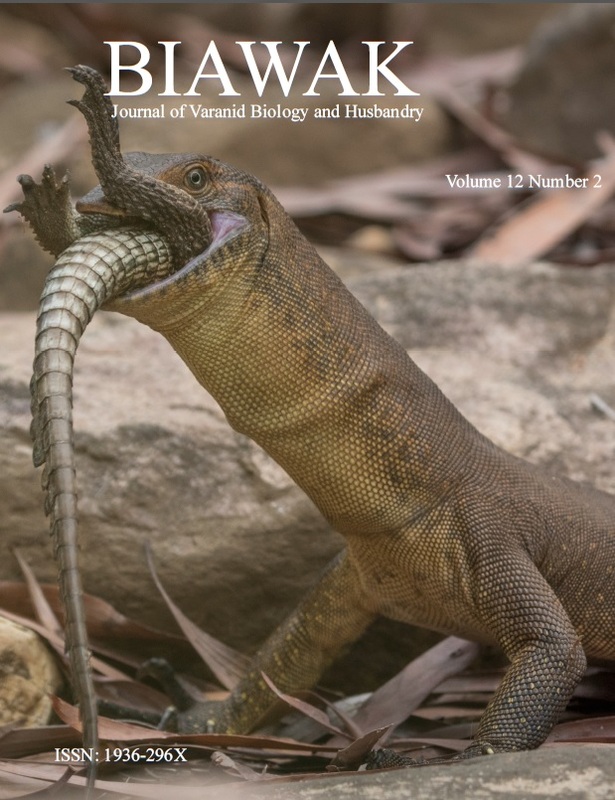 1) Establish a zoological journal devoted exclusively to the study of monitor lizards to facilitate the exchange of observational accounts, data, experiences, and captive husbandry between researchers and hobbyists worldwide. 2) Develop an online literature database to assist in the exchange of additional literature and information pertaining to monitor lizards. 3) Educate enthusiasts about scientific literature and its importance to the study of monitor lizards. 4) Fundraise for varanid research and in-situ conservation projects. Varanidae.org has been created to serve as an informational resource for varanid researchers and enthusiasts. Please use the navigation bar above to access literature on a multitude of subjects, including the ecology, natural history, evolution, physiology, behavior, and captive husbandry of varanid lizards.